My old boss had his cabin in northern WI broken into and his 308 rifle was taken. No worries though, cops caught the guy and got all of his guns back. Long story short, hes looking for a 308 bolt gun. The only must have is a 22 inch or shorter barrel and walnut stock. The only thing I can find at a reasonable price is the Savage 10/100 XP Trophy for around $550-600 with a Nikon optic. Good, wood and reasonably priced, you may pick 2 and only 2 of the 3. But the Mossberg Patriot comes real close. How about the Ruger Scout Rifle? Or.....if something more "traditional" is desired, how about a Ruger Hawkeye Compact? 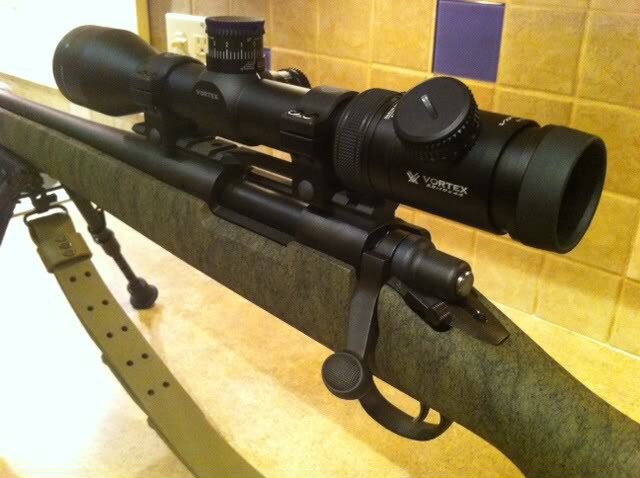 Gunbroker- look up the Winchester 88 in 308. Have him pay you to make a custom wood stock! What is his limit financially? Remmy 700 might fit the bill, though personally I'm more of a savage fan. Theres no hard limit, insurance will reimburse him. I'm trying to keep it under $700-800 total. And top it with a Vortex Diamondback Tactical 4-16. That’s roughly $700 so with a set of $50 rings he still has a little left over for a sling or a couple of boxes of ammo. The problem is that Savage will do more than fine for a good hunting rifle that will last lifetimes. It'll reach out there and get the job done and its a tough sell to try to talk a man into a $2,000 sniper rifle right after he had his last one stolen. A deer camp in Ohio years ago, I've hunted with a damn shotgun many times and a muzzle loader with ball makes a shotgun look bad. Personally I like my Savage just fine, nice triggers, and I'm a fan of Nikon optics they know how to grind glass. The combination for take it out twice a year, once to sight it in, and once to shoot Bambi, is just perfect. I have a mossberg patriot in 25-06 with the wood stock and really like it. I opted for the 7mm-08 in a Remington 700 youth model. I wanted a short barreled short action rifle. Immediately scrapped the factory stock for an HS Precision aluminum chassis synthetic stock, topped it with a 3x10x44 2nd focal plane Vortex PST and it is a sweet, accurate shooter that handles beautifully. Here in PA or out west with my son in Wyoming, it does the job I had hoped for. Your bolt handle needs to be bigger.